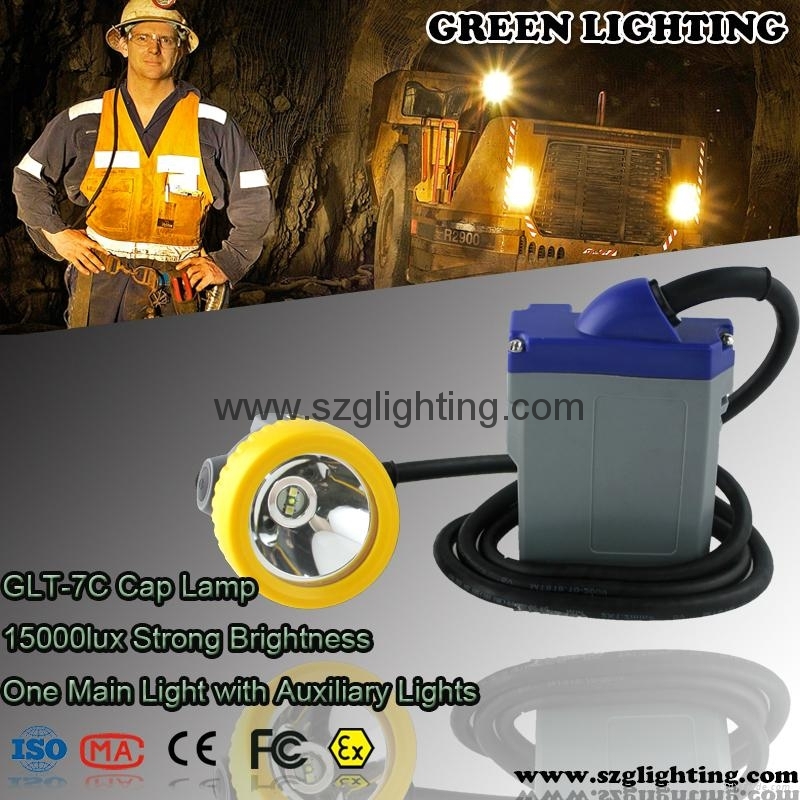 GLT-7C cord led cap lamp uses CREE 3W high power white led as main light, 2pcs 0.5W SMD leds as the auxiliary lights,and designed with high capacity 6.6Ah rechargeable Li-ion battery. 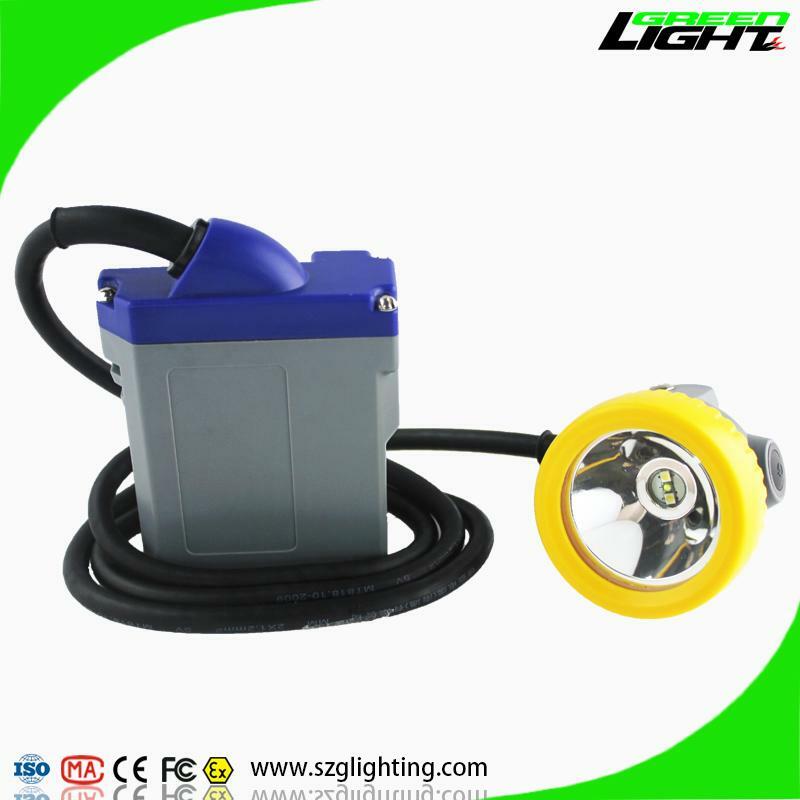 But GLT-7C cord cap lamp has 15000Lux strong brightness,long lighting time,long life time,high intensity,light weight,low usage cost,and high safety. We also use waterproof dual O-ring button switch for it. 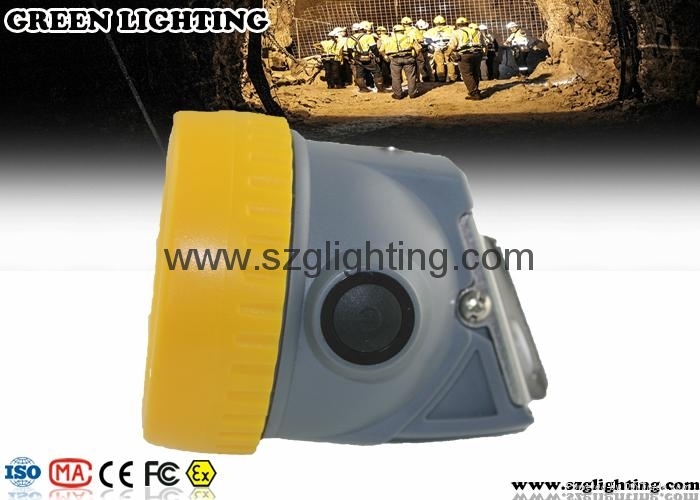 This cap lamp can be used in Patrolling, Overhauling and Emergency in electrical power company,Mine , Military, Police, Fire Fighting, Dockyard and other hazardous locations ect. 4. 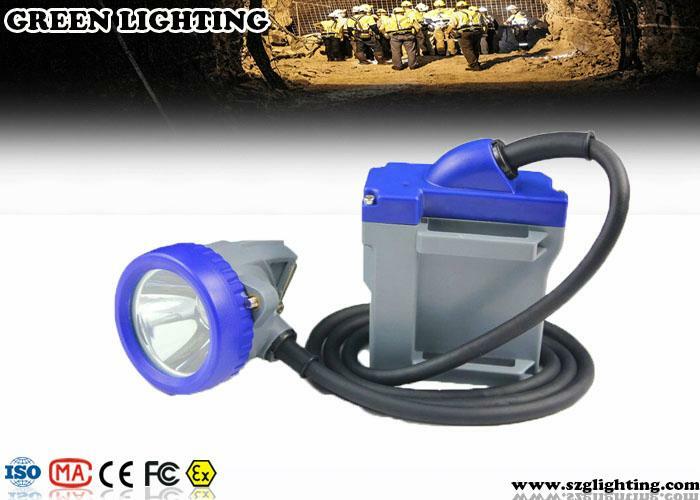 More than 18 hours working time, more than 10000lux high brigtness, more than 500 cycles lifetime of the battery. 6. 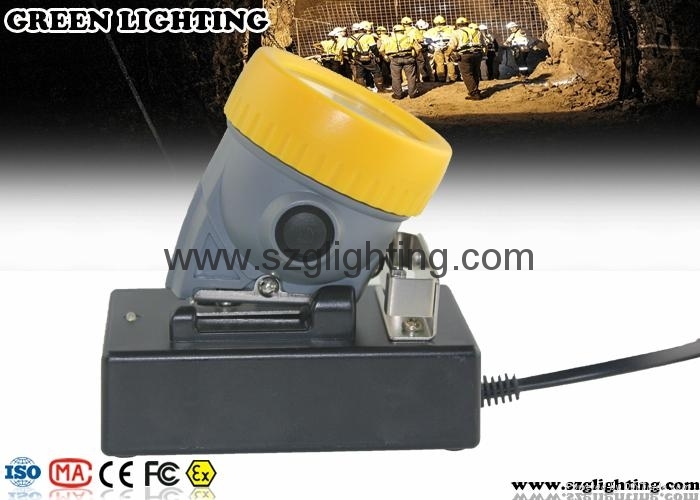 All our mining safety cap lamps lamps hasone year warranty. We will keep free maintenance for you in one year.